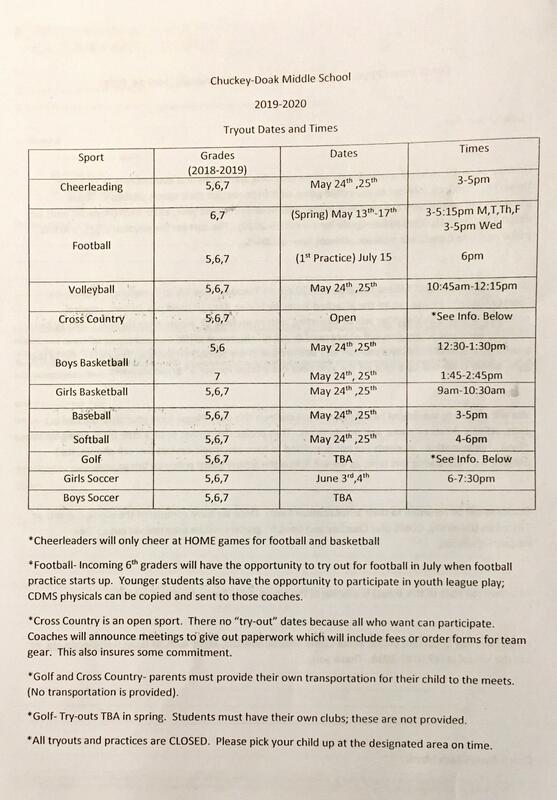 Students interested in trying our for a sports team at CDMS needs to find the date and time on the form for tryout information. Students were given this packet at their respective school with detailed information and permission form for those interested in going with CDMS to get their sports physical. ALL athletes must have a sports physical on file to be able to tryout. 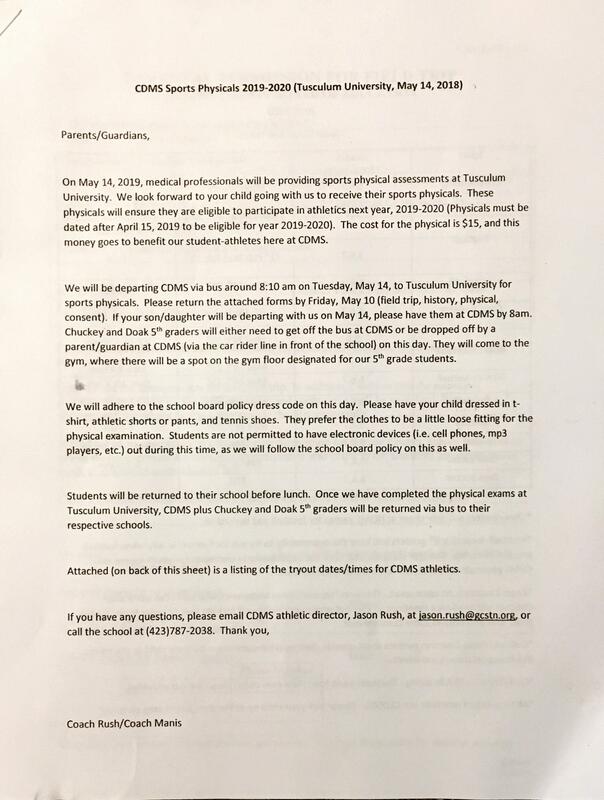 If your student had a sports physical for the current school year, they will be covered for tryouts. Again, important details and information were sent home in these packets. If you have any questions, please email CDMS athletic director, Jason Rush, at Jason.rush@gcstn.org or call the school at (423) 787-2038.